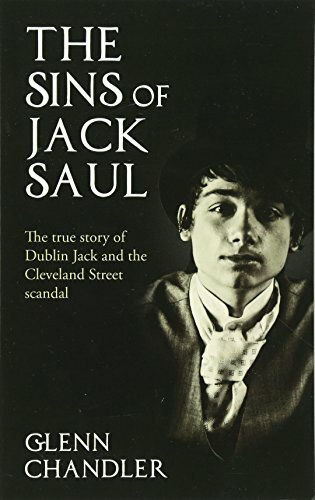 THE SINS OF JACK SAUL The true story of Dublin Jack and the Cleveland Street scandal. The Cleveland Street scandal, involving a homosexual brothel reputedly visited by the Queen's grandson, shocked Victorian Britain in 1889. This is the first full-length account of one of its key players, Jack Saul, a working class Irish Catholic rent boy who worked his way into the upper echelons of the aristocracy, and wrote the notorious pornographic memoir The Sins of the Cities of the Plain. Glenn Chandler, creator of Taggart, explores his colourful but tragic life and reveals for the first time the true story about what really went on behind the velvet curtains of Number 19 Cleveland Street.